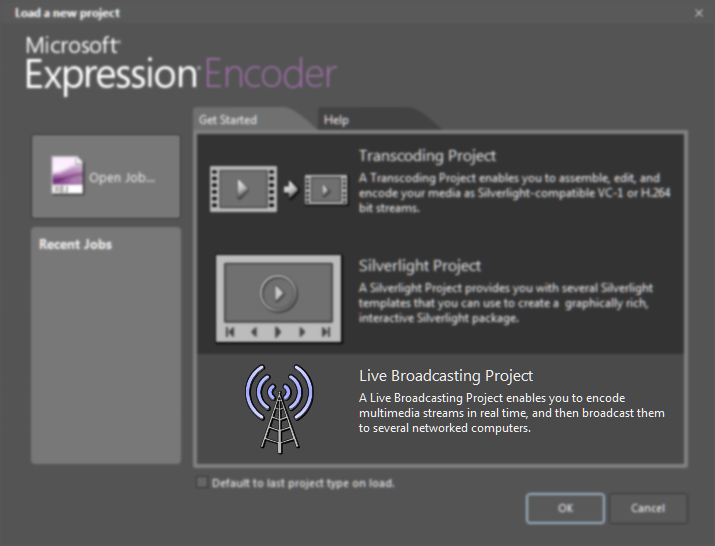 Note: Microsoft Expression Encoder is available as a free download from Microsoft. Before installing Expression Encoder, you will also need to download and install the Microsoft .NET Framework Runtime 4.0. Note:If you do not have a Windows Media server on SpacialNet, skip this section. Windows Media with Microsoft Expression Encoder works in push (recommended) or pull mode. For push distribution, the encoder connects to your server to deliver the broadcast. For pull distribution, Windows Media Server will actually connect to your system. In order to use pull distribution, the server must know where to find you. Keep that in mind when setting up your stream. Note: This type of setup takes more time and effort. If you choose to have a Push Distribution, please skip this option. To find out your current IP, click on the 'Detect IP' link on the side of the page or visit http://www.spacialnet.com/broadcasters/tools.ip.html. Click update to push changes to server. You might also need to open the Port in your firewall, or "port forward" the port in your router. Once your encoder is running go and visit our port tester at http://www.spacialnet.com/broadcasters/tools.port.html. From there you can check to see if port 3690 is available. If our test shows this port as closed then you are most likely behind a firewall/router/nat and it will need to be configured with a port forward for TCP on port 3690 to your internal IP address of the encoder. Select Live Broadcasting Project from the start up window. Select the output tab on the right hand panel. 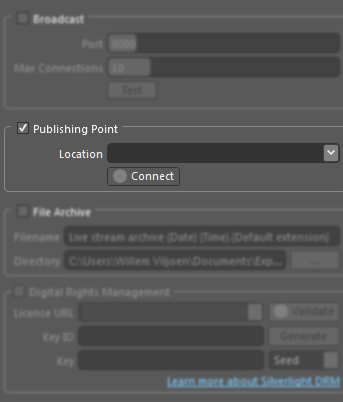 Tick the publishing point check box. Note: The port is the actual Windows Media Server port, not the statistics relay port for your account. For almost all streaming accounts, this will be port 80. Click the Connect button to test the connection. A separate window should now appear, requesting your username and password. Enter the username and password for your stream. Check the Remember Password box and click OK. If you have entered your details correctly, the connect button will change to green and Connected will be displayed to the right. Tick the broadcast check box. Choose a port number for the broadcast. Make sure that this port is not being used by any other software or streams on your system. Important: If you are behind a firewall or address translator, please ensure that the port is open and traffic sent to it can reach your system. Choose the maximum number of connections. 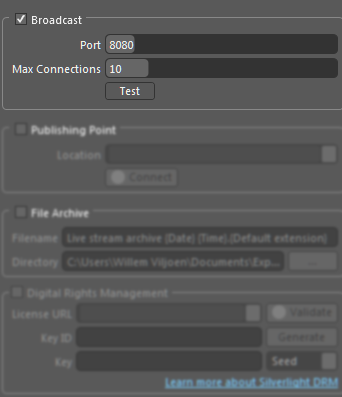 If you are using multiple servers to relay your stream, you should set this value high enough that each server can connect, while still leaving one open slot for yourself to allow you to test your stream. Please note that more connections will require more bandwidth. Be careful not to allow so many connections that streaming to your Windows Media Server degrades. Click the test button, a Windows Media Player instance will open and connect to your stream. Click Start in the center panel. You should now be broadcasting on your Windows Media streaming account.